Pharmacy Technicians are the first point of contact in the pharmacy. They greet customers as they enter and receive their prescriptions or refill requests. 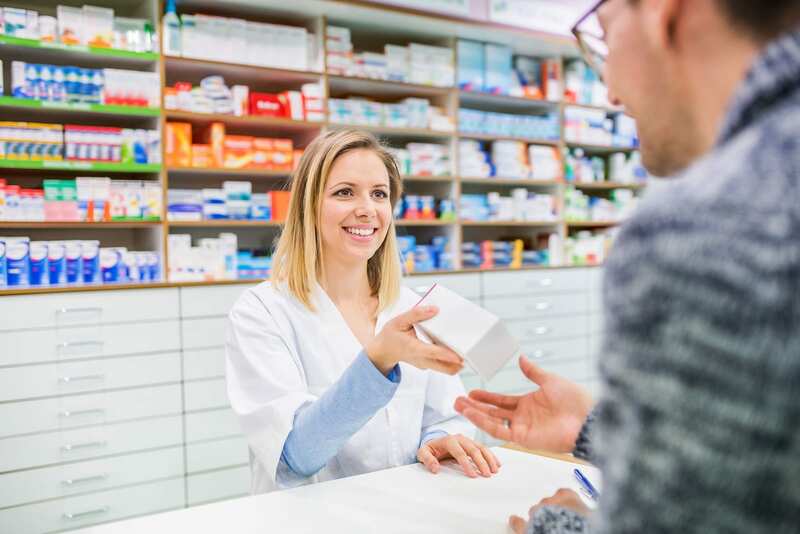 While they can answer simple requests from customers, it is not within their scope of practice to offer counsel or answer queries that require the professional judgment of a pharmacist. Technicians work under the supervision of a licensed pharmacist to perform routine tasks related to the receipt and preparation of prescriptions for dispensing. They generally verify the patient information and medication on the prescription before processing the prescription request. Related to the preparation of the medication for dispensing, the technician must count tablets, pour, measure, and mix medications and record the dosages used, select containers, label with correct information and instruction for use, and take it to the pharmacist to verify before it can be dispensed to the patient. Pharmacists must also answer questions that customers might have related to the prescription, medications, or health matters. Technicians receive prescription requests via fax, manage the daily administrative duties in the pharmacy, and update patient profiles. 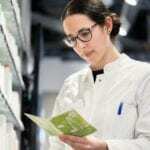 In their management of inventory, technicians must monitor the stock of medications, replenish stock when it gets low, review invoices, receive incoming supplies, and input vital information in the pharmacy system. Pharmacy technicians working in a hospital or nursing home might have additional duties that include calculating and preparing IV mixtures, assembling a 24-hour supply of medications, reading patients’ charts, and delivering medication to patients’ rooms. As in community pharmacies, the pharmacist must check the prepared medication before it is delivered to the patient. Virginia College hosts a pharmacy technician program to prepare adults to fill the need for qualified pharmacy technicians in community and hospital pharmacies. Some of the key objectives of the program are to foster the development of clinical skills that include the preparation of medication for dispensing, selection of drug products, transcription of drug orders, updating of patient profiles, and preparation of unit dose medications, sterile irrigations, and IV admixtures. Modules will include absorption systems, circulatory and immune systems, academic strategies, fundamentals of allied health, pharmacology, dosage calculations, and pharmacy operations. Students must participate in a mandatory 180-hour externship in a community and hospital pharmacy. The classroom and lab hours will cover 780 hours of instruction including 555 hours on campus and 225 hours delivered in digital format. Students must complete 59-quarter credit hours to successfully complete the program and receive a Pharmacy Technician Certificate. Graduates have the option to sit the PTCB or NHA to become a Certified Pharmacy Technician. Tuition for the 14-month program is $16,000. South Plains College offers a Pharmacy Tech Test Preparation course to prepare adults for success on the Pharmacy Technician Certification Exam. The program reinforces the training received on the job or help adults who already have a broad knowledge of the field acquire the skills to take and pass the national exam. Applicants must be highly motivated as the training requires a significant commitment of time outside the classroom memorizing the content and using other study techniques to understand the subject matter. Areas of study include pharmacology, inventory management, pharmacy law, ratios and proportions, safety, calculating IV flow rates, calculating percentages, reading prescriptions, medical terminology, business math, packaging and labeling, distribution, and related topics. The course covers 48 contact hours of instruction. Students have the option to complete a 100-hour externship with Walgreens for an additional cost of $23. If the student chooses to complete the externship, he or she must apply for a Pharmacy Technician in Training License by applying to the Texas State Board of Pharmacy. The fee for the license is $62. Applicants must cover the cost for fingerprinting which is $50 – paid to Identogo. The trainee license must be issued before the last day of class. A high school diploma or GED and no felony convictions are essential when applying for the PTCB exam.